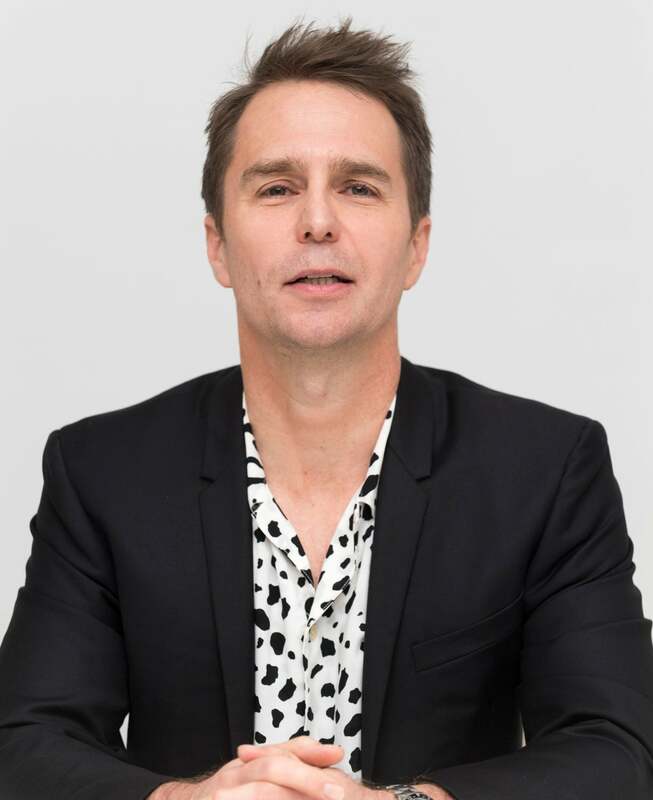 Sam Rockwell is an American actor who has appeared in over 70 movies including; Confessions of a Dangerous Mind, directed by George Clooney, Matchstick Men along side Nick Cage, The Hitchhiker’s Guide to the Galaxy, Seven Psychopaths, The Green Mile, Galaxy Quest, Iron Man 2, Cowboys and Aliens. In Three Billboards Outside Ebbing, Missouri, Rockwell plays the complicated and highly unlikeable Officer Dixon. Francis McDormand plays the mother of a murdered daughter who rents out three large billboards to expose local authority’s apathy towards her case. Dixon and she develop a complicated, antagonistic relationship which takes the audience on an emotional ride. “I think I play good monsters,” says the actor. “For some reason, I'm attracted to the darker side of humanity. But when you do a role like this that requires emotional depth, it can be cathartic, too. Dare I say even therapeutic, though that might be stretching it. It's fun to be miserable when you're an actor – you can indulge emotions you wouldn't be able to in real life." Three Billboards won the audience award at the Toronto International Film Festival. It was also well received at the Venice Film Festival with most critics singling out Rockwell’s performance for special praise. "It's like being a child, acting. You're laughing one minute, then crying, and that's what it's like to be an actor: you have license to be a big baby," he says. "It's interesting when people are surprised when actors have temper tantrums. I'm not surprised because when you're manipulating your emotions every day, it's an insane job. I saw Gary Oldman recently, and he had a great analogy: It's like being in a Christmas snow globe and you're just shaking it up every day." Sam Rockwell has been doing that since he debuted in the 1989 horror film, Clown House. He then moved to New York where he pursued acting further and began his career appearing in television shows such as Law & Order and NYPD Blue. Two major film roles that were turning points were Tom DiCillio’s Box of Moonlight and Lawn Dogs. He was highly praised for his performances in both. "The fact that people are saying that kind of stuff, about being underrated, well, that means I'm not underrated, right? They've been saying that about Jeff Bridges for years. About Gary Oldman, who's never won an Oscar. Anthony Hopkins! It took a while for him to get on the map. As long as people are saying your name, it's all good.” "The work is never done," he says. "I've been acting for 20 years, and I'm always learning something. It's never done."